It's official - Channel 5 has got the necessary paperwork from Ofcom to launch its HD channel on Freeview. 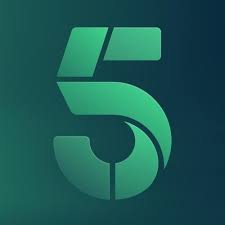 Channel 5 HD is one of several new channels that have received Ofcom licences enabling them to broadcast a service on the UK's digital terrestrial TV platform. The Viacom-owned broadcaster has previously stated that it is "committed" to launching on Freeview HD, despite turning down two opportunities to join Freeview under previous management. The channel is a candidate for the current BBC Three HD channel number (105), once the current online promo channel is removed. The appearance of an Ofcom licence is often the first public sign of an impending launch. Other channels given a licence to broadcast on terrestrial TV include children's channel Kix and crime drama channel True Crime, both operated by CSC Media, which is part of Sony TV's family of channels. The addition of Kix would fill the children's section of the Freeview EPG if it was added without an existing service being removed. Some children's channels are only available in certain areas on Freeview. A licence has also been given for a service called "One World Television". Again, no details about launch timeframes and channel numbers have been released just yet. From a technical standpoint, there's currently around 10-15 Mbps of variable bandwidth lying unused on the main digital multiplex (multiplex) BBC-B/PSB3) that carries BBC One, BBC Two, ITV and Channel 4 in HD, that's before BBC Three HD's evening bandwidth is even taken into the equation. This would provide sufficient bandwidth for another national HD channel on Freeview. I still hope BBC Four HD moves to the national BBC mux, C5 can then take its place on COM7 after all it is a commercial channel unlike BBC Four. BBC4 HD should be moved to use the spare capacity on PSB3. There are people that can't receive BBC4 HD and this mux is BBC bandwidth (ITV and C4 being gifted slots on it). C5 has degenerated to the point of it not actually mattering if it's on HD. It used to be a decent channel, but not any more. Great news that 5HD will be on freeview. Hi, is it likely that 5HD will become viewable without subscribing to the HD package? There is no "HD package" on Freeview - it's free! It's likely that C5 HD will go free-to-air on satellite in due course. The question is when is the actual date? The question is, if the spare bandwidth is used for channel 5 HD will that mean the end of BBC red button 2 and BBC red button 3 which aired coverage of Wimbledon etc last year and will the BBC be able to offer as much coverage of this years Rio Olympics as well.